21 years burnin' down the road, now in its 6th incarnation. 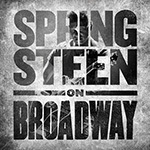 Bruce has finished his year-long Springsteen on Broadway stand at the Walter Kerr Theater in New York. The day after the final show, December 16, Netflix started streaming a previously recorded show, and two days before that Springsteen on Broadway was released on audio CD and streaming services. Bruce will now take some time off before working on new music. There are currently no tour plans, and Bruce has announced that there will be no E Street Band tour in 2019. If you want to make sure you don't miss any important news, you'd be wise to follow Greasy Lake's Twitter account. 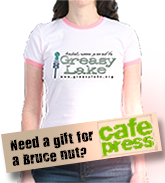 Meanwhile, dive into our extensive Bruce shrine compiled through our 20 years of existence. Check out the timeline to put everything in perspective. 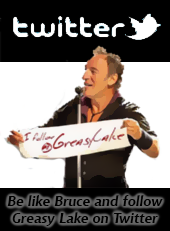 Want to test your Bruce knowledge? We have a quiz section just for that. Looking to interact with likeminded people? Dive into our famous community that never sleeps. We have tons of other things to offer. Get the full picture here.